The day has finally come! The day we’ve been toiling for since 2010! 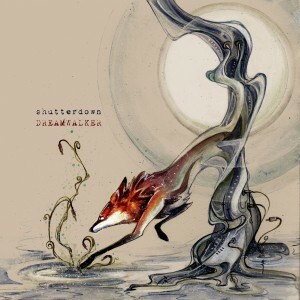 Today marks the official release of our first full-length album, “Dreamwalker” – brought to you, in part, by Distortion Productions. Now available at all the finest of online retailers, including (but not limited to): WTIIrecords.com, iTunes, bandcamp.com, amazon.com, bestbuy.com, Storming the Base, and barnesandnoble.com. Also available directly through us or through Eide’s in Pittsburgh. To say it’s been a journey wouldn’t really encapsulate how far Shutterdown has come since we first cranked out our EP three years ago. Countless hours have been spent writing, re-writing, recording, re-recording, editing, mixing, re-mixing, re-mixing AGAIN and mastering. Numerous gigs opening for some amazing bands, like Project Pitchfork and Assemblage 23, where we would try out the songs on our friends in the Pittsburgh scene. Campaigning to raise the funds needed to press the album. The personal and professional growth that occurred these past three years is nearly immeasurable. We owe so much to our friends and family, who have continuously offered us their love, support, encouragement, time, space and dollars. Max’s parents, Tom and Diana, literally gave us the space in which the album was created in its entirety. Jim Semonik, of Distortion Productions and rein[FORCED], has been a huge supporter since the beginning – putting us in front of some of the best bands in the industrial music scene and, eventually, picking us up for his label. And we can’t thank enough our friends who’ve either supported us by coming out to shows, playing shows with us, or by contributing to our IndieGoGo campaign. You are all part of the Shutterdown community which helped make this day a reality.